A trip to Portland is not complete unless you go to the Food Pods that are sprinkled all around town. The Food Pod culture in Portland is not unlike that of the hawker centre in Singapore. There are a few things about the food pods that are not the same, the most significant being the opening hours of most of them. A lot of them are only open for lunch and only on weekdays. So you have to consider your timing when you go to Portland for the purpose of eating. A weekend trip to Portland is not the best time to go for Food Pods, but some of the Trucks/Stalls are open. Such was the case at arguably one of the most famous pods, the one at SW10th and Alder. 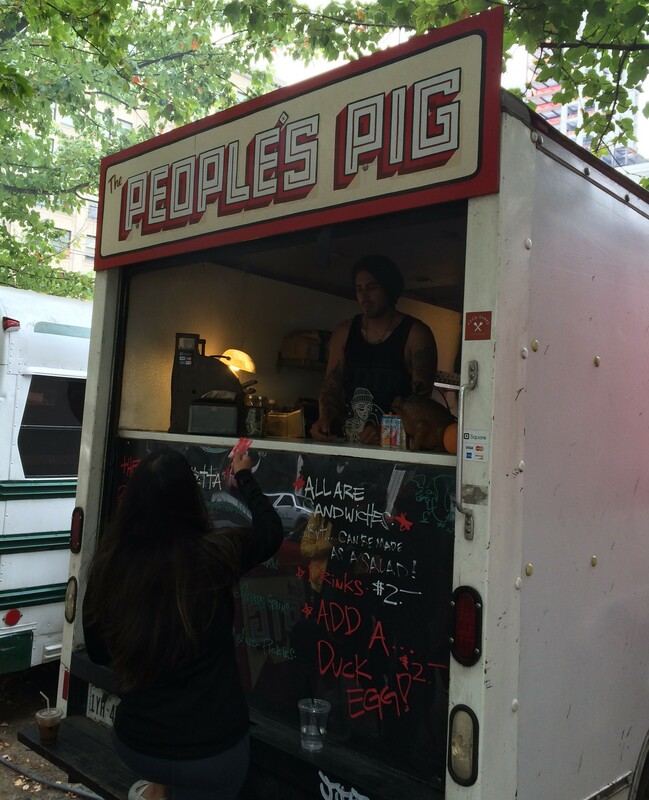 One of the most famous stalls there is The People’s Pig, a stall specializing in Pork Sandwiches. 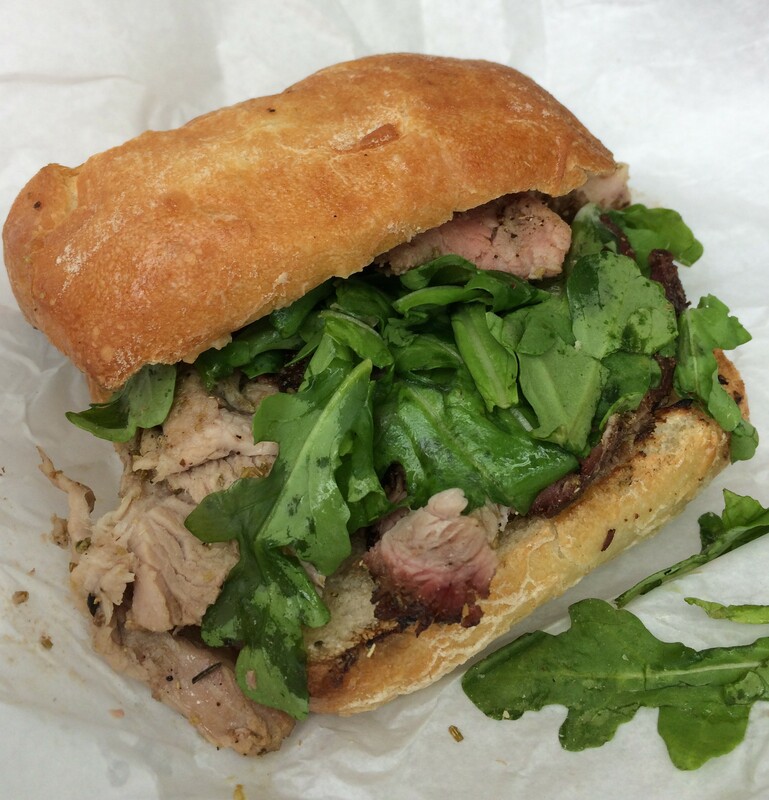 Specifically, the Porchetta Sandwich is where it’s at. Pork Tenderloin, seasoned to perfection, with sauce and arugula. Finger-licking good! Then how about some Dumplings? 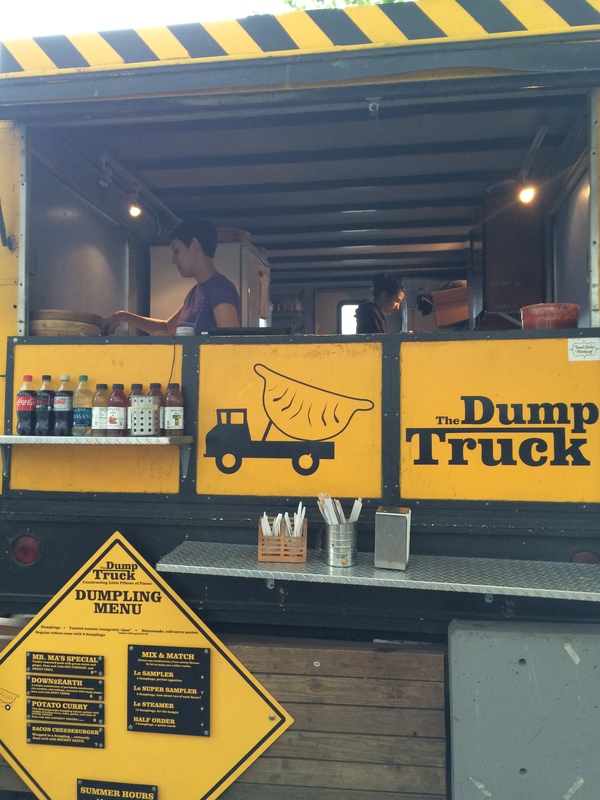 The Dump Truck is run by a couple who lived in China for awhile and now have creative dumplings. Here is the sampler platter. 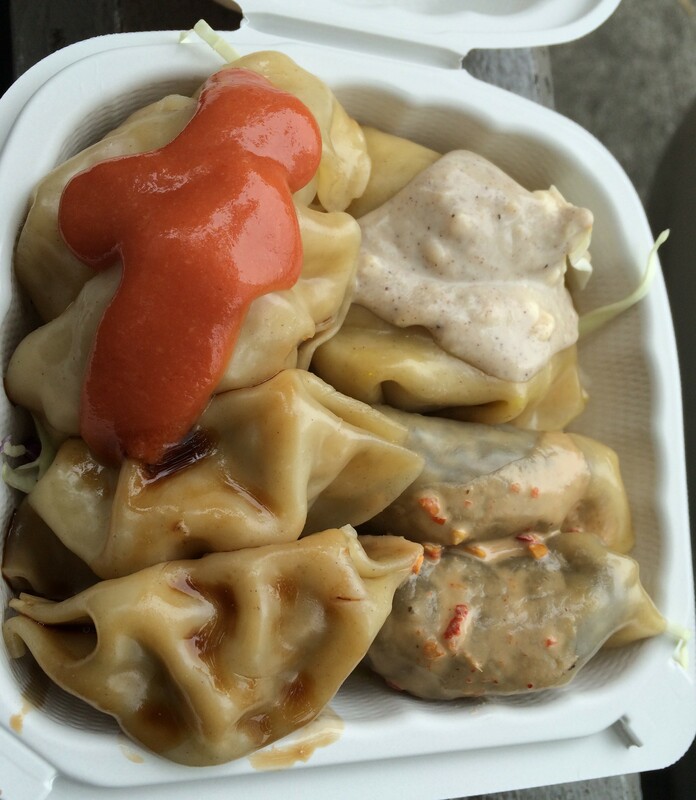 It is a combination of all four of their dumplings. You have Mr. Ma’s Special (Regular style pork dumplings), Down To Earth (Mushrooms, Cabbage and rice noodles), Potato Curry (Potatos with a Malaysian style curry) and the Bacon Cheesburger. I have to say, it does taste like a Bacon Cheeseburger! The dumpling aren’t bad at all. So many more food stalls here, including the famous Chicken Rice, but it wasn’t open when we went. We definitely will make another trip here. Posted in Dumplings, OR, Portland, SandwichTagged Dumplings, Food Pod, Porchetta, PortlandBookmark the permalink.